Its a beautiful stamp but why is the 1st shown with an I not 1 like all they others on the mini-sheet? The figure of value on the Machin stamp matches that on other Machin stamps. The figures of balue on the others are more in line with the typefaces used when those stamps were issued - but it's an interesting point. It's a very grey blue. 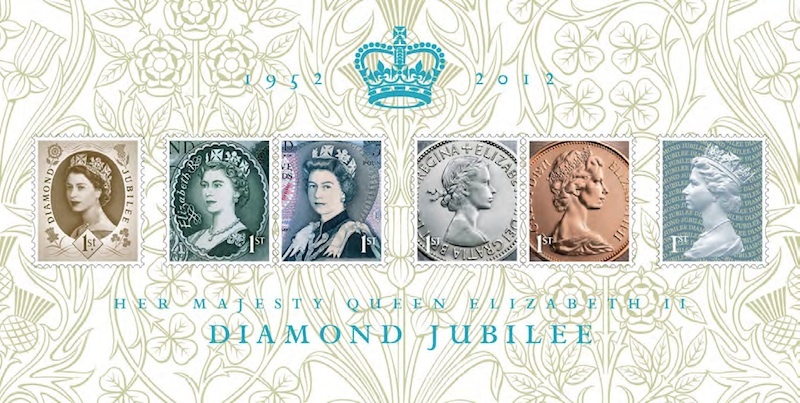 Also, are the coin-based stamps unique in having HMQ's head facing in that direction? 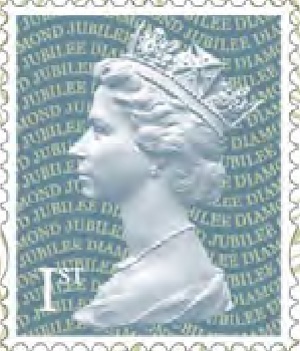 "Also, are the coin-based stamps unique in having HMQ's head facing in that direction? " 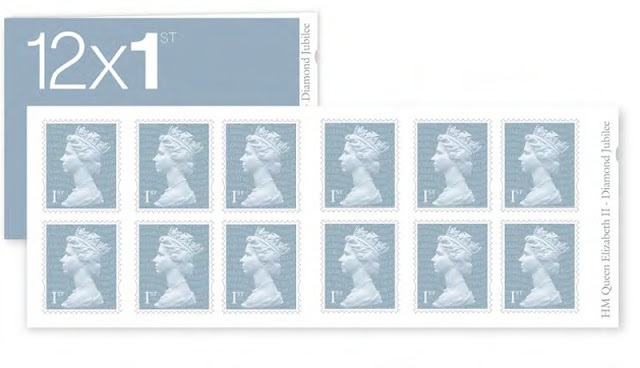 As far as definitive-sized, yes, though the small silhouette profile has appeared both ways since it was first introduced, to fit in with stamp designs. I like these - will have to buy enough to use for normal postage - mind you the blue definatives are very nice too. I'm fairly sure I have seen a Gillick coinage head/cameo reference somewhere. Perhaps in Douglas Muir's Timeless Icon Machin history? Here is a image of the Counter Sheet, i brought 25 myself today 9th feb 2012. ImageOF 25 1ST Class Diamond Blue.